Traditional thinking colors stroke as a men’s problem (mostly). But as women’s health gets more attention, so is our risk for stroke. But there are differences—women’s health and blood pressure is heavily influenced by hormones and their own specific health risks, like birth control, pregnancy and migraines (which women are more likely to have). Identifying risk factors has lead to new treatment guidelines. One recommended preventative strategy is to take a regular calcium supplement. People who get more calcium and other minerals have a lower risk of stroke (about a quarter less likely!). 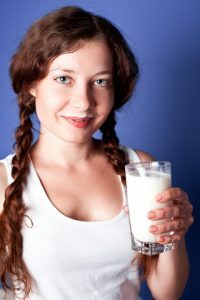 Plus, women benefit from calcium anyway, since many of those same factors increase the risk for a low bone density. And calcium is not only safe, but often recommended to take during pregnancy, a time when your stroke risk is higher. For men, calcium carries many of the same benefits! Other studies on stroke have also found that it’s more common in young people than previously thought. The best thing is to prevent stroke, but in an emergency, know fast: Face Arm Speech Time. If someone’s face suddenly drops, they lose control of one side of their body (ask them to raise their arms—watch for droopiness/unevenness), or their speech slurs, call for help immediately. While waiting for help, you may be able to help their future recovery by gently stroking the afflicted side of their face.